Edibility: The very young shoots of this plant are edible for a short period of time. You may eat the shoots that are less than one foot tall and have not developed any red coloring at all. The stems of this plant becomes bright red as it ages. Since the roots are toxic, be sure not to collect any of the root along with the shoots. In many places this is a common food. The stems must be boiled in a couple changes of water. It tastes similar to cooked asparagus. 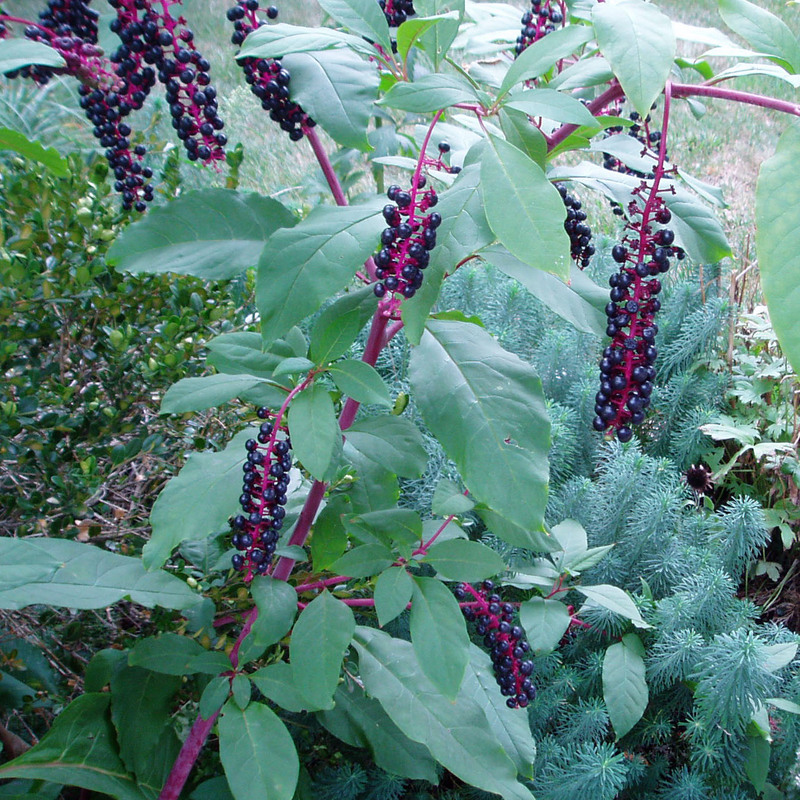 Poisonous: This plant is often responsible for cases of poisoning, usually because children or others eat the bright red-purple berries. All parts of this plant, except for the very young shoots, are toxic. Utilitarian Uses: The berries look like they would make a good dye, buy it is easily washed away with water. Other Notes: Though toxic, this is a very friendly plant.